Print plain paper or pre-printed legal forms with one click! Printing forms is as easy as downloading the form from your internet connection and within seconds the form is ready to print. InterActive will print to several printers at the exact same time based on the form you want to print. Send your pre-printed contracts to your impact printer and plain paper forms to your inkjet or laser printer. Most forms are available in plain paper format. InterActive provides a very simple process for downloading forms. Built into the form setup is a button to “Get Forms Online” that connects to our server and provides a simple navigation of form categories for instant download. InterActive DMS supports all types of printers. The most common impact printer is Okidata Microline 320 Turbo. 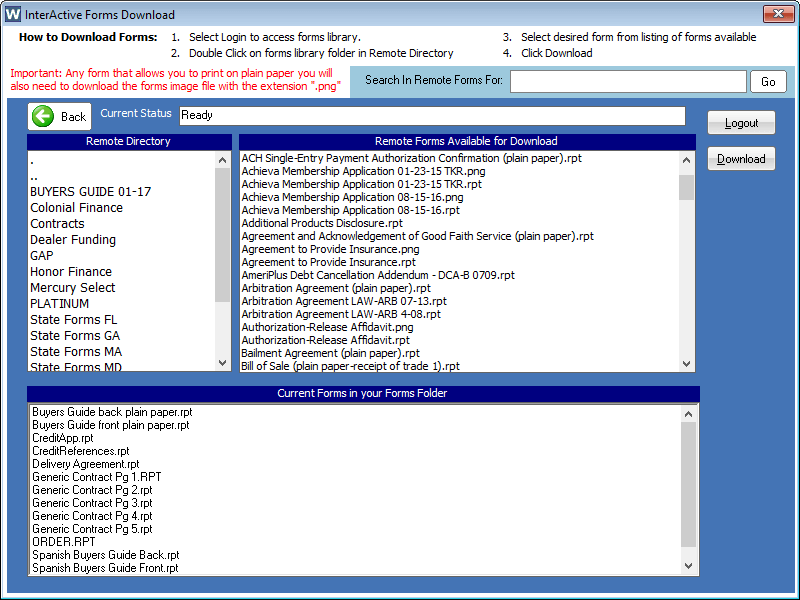 InterActive DMS has 10 form packs that allow for unlimited forms within each pack. 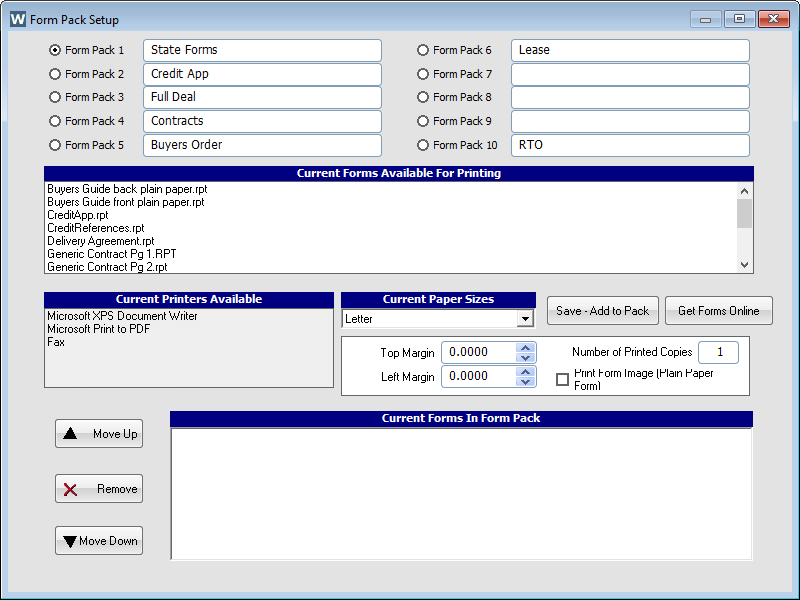 When selecting a form pack to print you can select all or individually select forms within the pack.